Step 1 Spray a large saucepot with nonstick cooking spray. Heat the saucepot over medium heat, then add the oil. Add the leek, onion, carrot, celery and fennel. Cook, stirring occasionally, until the vegetables are tender, about 10 minutes. Stir in the chicken broth, water, potatoes and bay leaf. Bring to a boil. Reduce the heat, cover, and simmer until the vegetables are tender, 30 minutes. Step 2 Remove the bay leaf. Puree half of the soup and return it to the saucepot. Stir in the liqueur. Ladle the soup into serving bowls and sprinkle the top with the chopped fennel. In Recipes-list.com we have selected the most viewed recipes from category - Soups . Enjoy the best recipes specially selected for you! 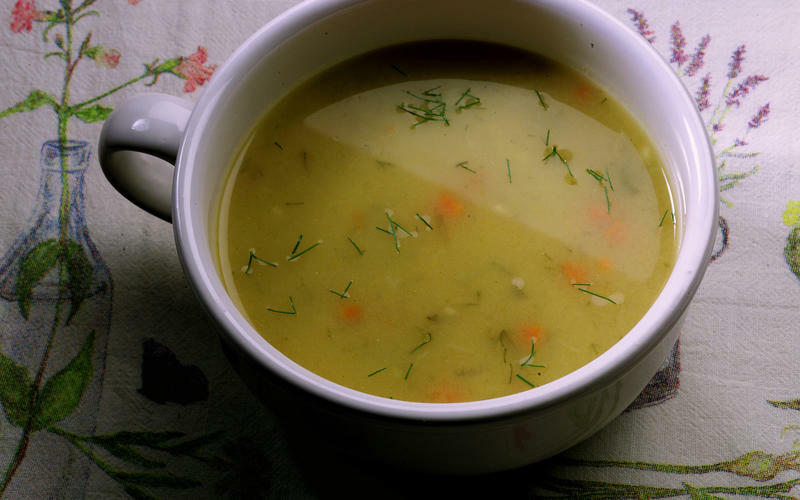 Fennel Soup is the right choice that will satisfy all your claims.